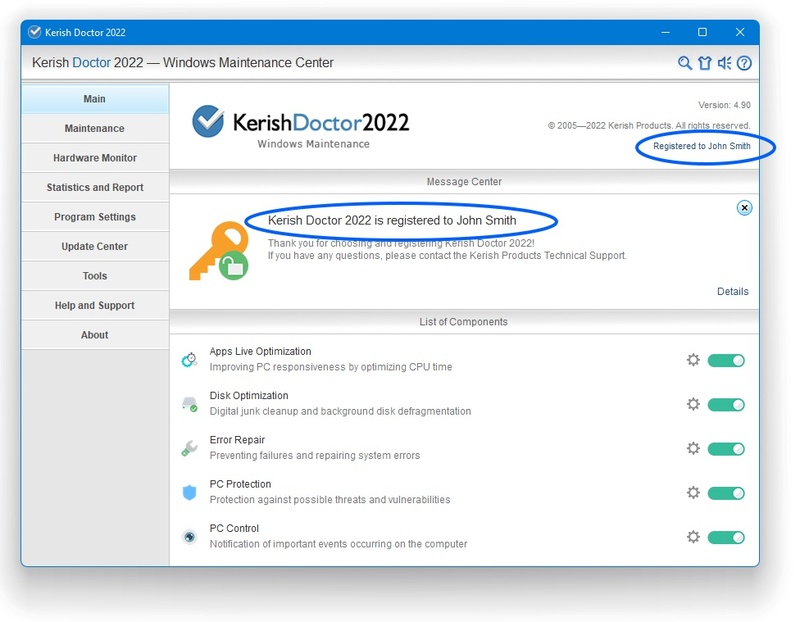 How to activate Kerish Doctor 2019 using a license key? 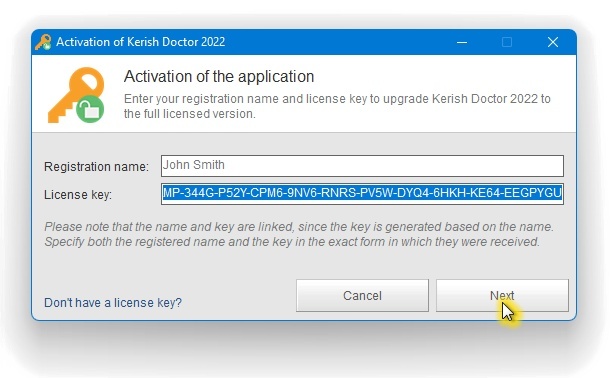 Please consult the step-by-step guide to activating Kerish Doctor 2019 using a license key. If you have problems activating the software using a license key, please contact technical support. 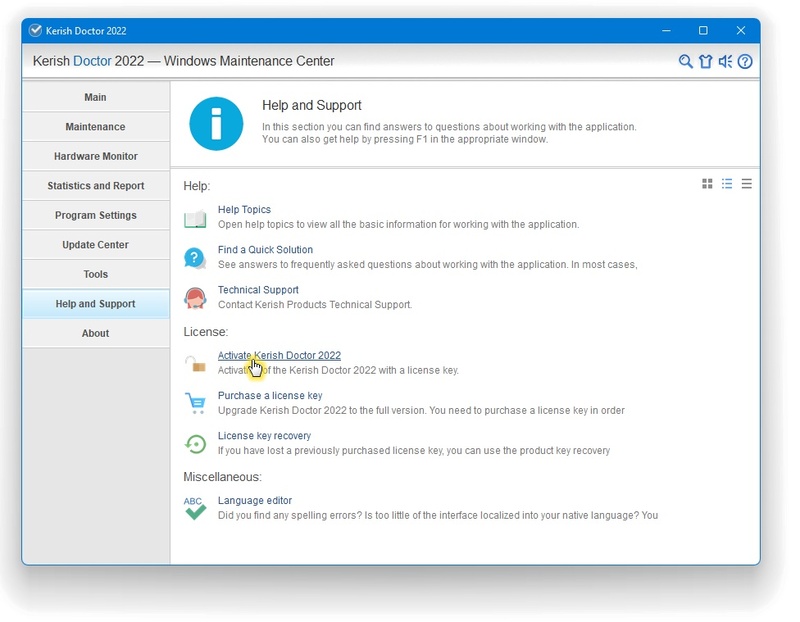 Select "Help and Support" in the main application window. 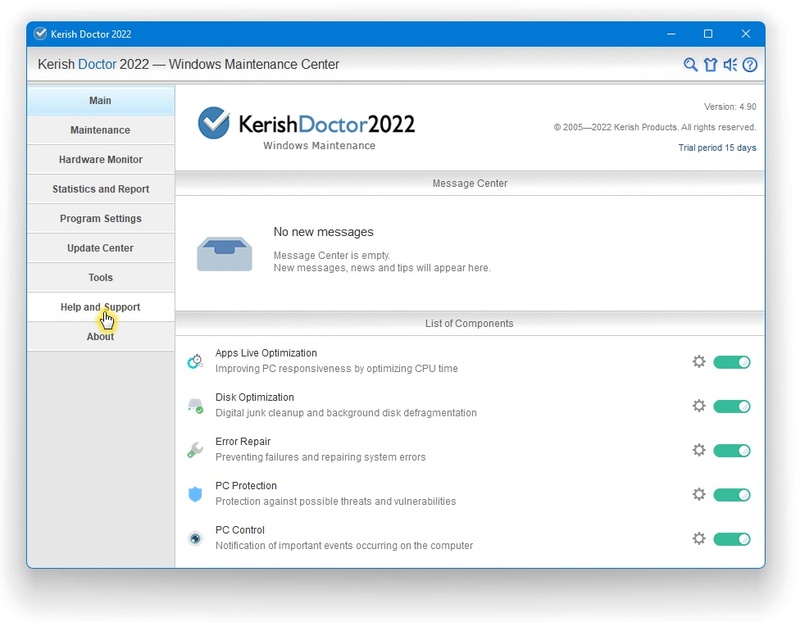 Click "Activate Kerish Doctor 2019". Enter your registration data in the appropriate fields and click "Next". Please note that the name and key are linked and that when you go to activate the software you must enter them exactly as you received them. The name and key are both case-sensitive. Please pay attention to whether you are entering lowercase or capital letters. The best way to do this is to copy the name and the key into corresponding fields using the "Copy" → "Paste" commands. If everything has been done correctly, then you will see a message that the program has been activated successfully. How can I find out how many days are left until the license expires? You can check the expiration date of the license, as well as the number of days remaining before it expires, in the "About" section. 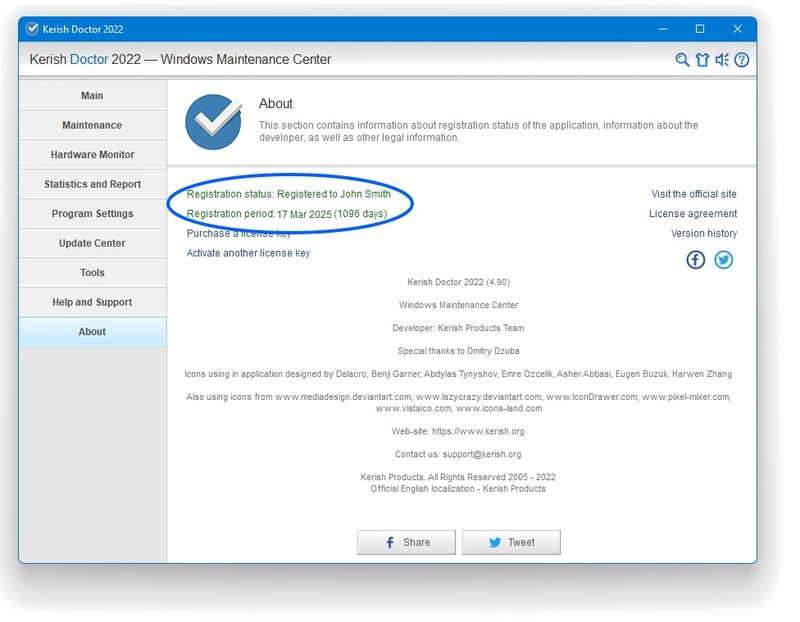 Does the program say that the license period has expired?